While there is no hard proof they were distinct or very organized pre-AB groups, CDC staff called them by various names such as the Diamond-Tooth Gang, Bluebirds, NAZIS, and finally the Aryan Brotherhood. They started in San Quentin in 1967, and per minority inmates, were sometimes favored by Guards. An AB member by the name of Jack Mahoney, who was Irish, influenced the AB, also called “The Brand” to use a "shamrock" as one of their symbols. According to prison gang expert Brian Parry, to be a bonafide AB you must have “the rock”. Early AB’s were Eddie Vaughn, Wayne “Bulldog” Ladd, and William McGirk who had Mob ties. There was “Bucky” Garrett, Carl Nooner, and Mark Duclas who all had ties to Washington State. Other early AB were “Tall Dennis” Murphy and Joe Morse. There was Donald Hale and Fred Mendrin who killed an NF member for La EME’s Joe Morgan in 1972. There was also Ronnie “Spots” Berg, Tommy “Slim” Center, Ronnie Harper, Robert “Chuco” Wendekier, Larry Witzig, Mike Carmichael, Eddie Burnett, and Mervin “Moose” Forbes. Paul Allen and George Harp also played major roles early on. The AB had a creed that they lived by. So a Brother am I and will always be, Even after my life is taken away from me, I’ll lie down content, knowing I stood, Head held high, walking proud in the BROTHERHOOD! The AB is run by a Commission and Councils in California and in the Feds. Some of the Federal leaders and shotcallers are Barry Mills, Tyler “The Hulk” Bingham, and Mike “Big Mac” McEhinney. Commissions approve prospective members, make decisions on gang rules, and are responsible for resolving problems between members. The committee is also the authority which issues orders for “hits” or “contracts.” The AB leadership expects their order to be carried out. The AB was greatly feared as an exclusive white predatory group whose main rivals were Blacks, in particular, Black Guerrilla Family (BGF) and D.C. Blacks. The Aryan Brotherhood declared War on the BGF after white inmate Robert Holderman was stabbed and beaten to death by BGF members at San Quentin in 1967. That incident is also said to have been a big reason why the AB formed in the first place. The AB’s initially aligned with the Manson Family Girls, but kicked Charles Manson out after he arrived at Folsom Prison for refusing to do a hit. Woman have assisted the Aryan Brotherhood since the early days, Leo Witzig would get visits from females at San Quentin in the 1970s who would smuggle in drugs for the Brothers. In the 1990s Debra Stinson was doing the same thing for AB General John Stinson at the L.A. County Jail who was found to be running a huge drug ring out of the L.A. county jail. 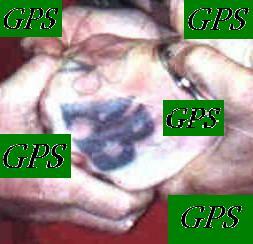 Prison gangs will utilize legal pro pers to hold meetings. Several other AB were also EME associates such as “Old Eddie” Burnett, Mark “Buzzard” Glass, and Bobby Ray Shields. Some members like “New York” Crane had already died so could not be tried during the RICO case. The AB and Mexican Mafia had a “shaky truce” in California that involved drug trafficking within CDC, however lately there has been friction between them. A past case that illustrates this working relation was during 1977 when AB William “Puppet” McKinney and EME Federal Shotcaller ‘Champ” Reynoso from Hazard in East L.A. committed Bank Robberies together. Years later, in 1983 McKinney killed inmate Greg Keffer at Marion for falsely claimed he was AB and burning “Champ” on a dope deal. On February 8, 1993, AB Suspect Chris Anderson and EME member Manuel “Cricket” Jackson from the “Big Hazard” varrio murdered James Jackson over drug dispute at USP-Lompoc. Over the years the AB has worked with many other criminal groups. The AB’s had ties to McNeil Island Prison in Washington State back when it was part of the Federal BOP system. Several hits occurred at McNeil Is. that were attributed to the AB’s. Again, many times relatives of these prison gang members would move to be close to their loved ones. The same thing happened in other states. Also, when AB were shipped to Federal Pens, they would often recruit whites who could assist the Brotherhood, this is how the AB grew in the BOP and eventually spread to other states or sometimes prison gangs are copycatted from the AB. AB’s did not have a lot of problems with staff until the late 1970’s and early 80’s. Thomas Silverstein murdered a C/O at Marion in October of 1983. Another staff member who responded was also killed by an inmate who thought he might gain favor from the AB. In March of 1995, AB member Robert Sculley and recent parolee, while assisted by AB Associate Brenda Moore, shot and killed Sonoma, CA Sheriff’s Deputy Frank Trejo. These atrocious acts, both inside and outside of prison, show just how dangerous the AB can be. The "Blood In and Blood Out" concept is something the AB membership still believes in! The Aryan Brotherhood "is particularly violent, disciplined, fearsome and committed to dominating the prison population through murder and threats of murder," Assistant U.S. Attorney Michael Emmick told jurors in a courtroom ringed by federal officers and packed with reporters. "They just kill anyone who shows disrespect and doesn’t follow their rules," Emmick said. "They succeeded in terrorizing the prison population and securing the AB’s position of authority and power." Law Enforcement, Corrections Officers, and the General Public should be aware of this security threat group that now has different factions active across most of the United States.